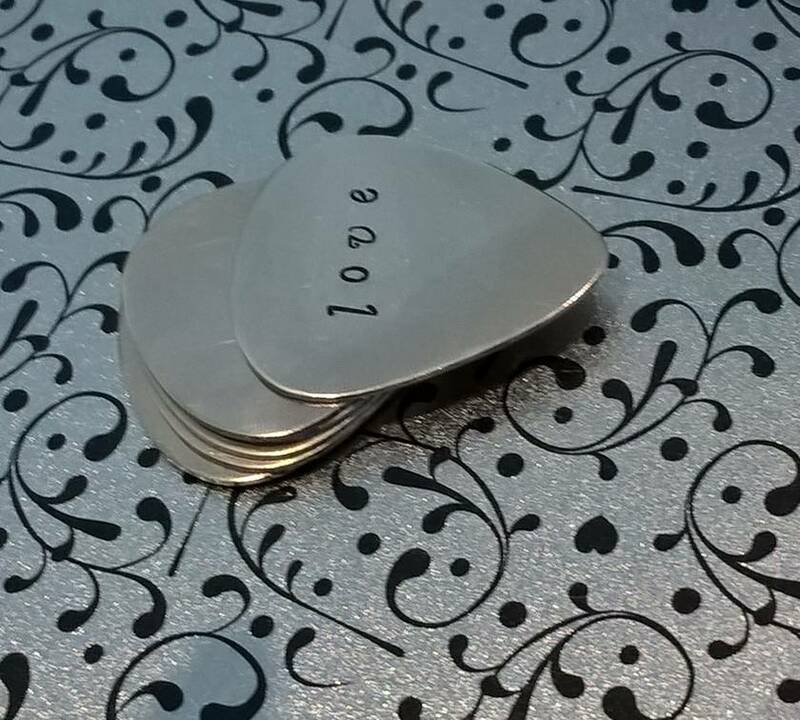 Hand stamped nickel silver guitar pick with the word "Love". This has been hand stamped with the font (stylish) in lowercase. It has then been given a non-toxic black enamel ink finish on the letters. There will be slight imperfections with the stamping - I believe this adds character and authenticity. 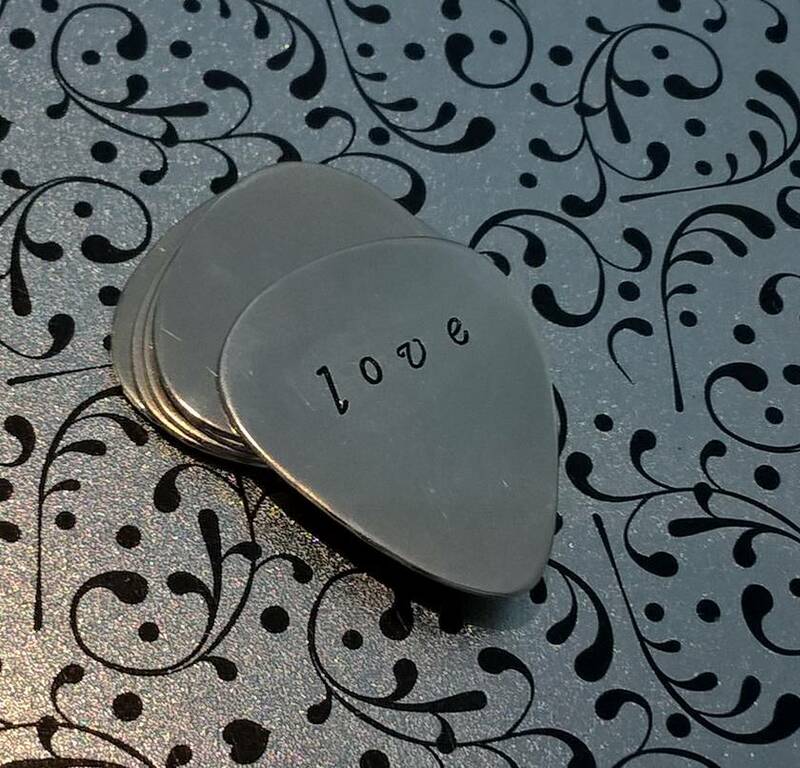 A perfect gift for the musician in your life or as a unique Valentine's gift. Contact mixedup to enquire about payment or shipping options.